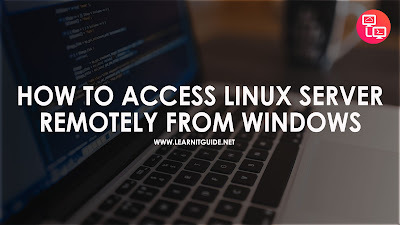 This post shows you how to access or connect your linux server remotely from windows. SSH is the network protocol works on Port 22 that helps us to take the remote connection over the network either from linux to linux or windows to linux. But anyway linux would be your target server and windows server would be your source server from which you try to connect your target linux server. So Target Linux server must have running SSH service and also it should allow port 22 in firewall if firewall is running else firewall will block us to take the remote. By default, SSH Command is available in Linux server, So we can use SSH command directly to take remote from Linux to Linux Machine. But If you want to take remote connection from Windows server to Linux server, You have to install PuTTY on Windows server. PuTTY is available for installation also it is available as a executable file which can be used without installation. Once PuTTY software is downloaded, double click and run the software for installation. Installation will finish quickly. At the final screen, untick "View README file" and Click "Finish". Once installation is completed, Open your installed Putty software from your Programs. Enter the IP Address of your target linux server you wish to connect from windows machine over the network. Make sure port number "22" and connection type "SSH" are specified in the box. Click "Open". If everything is ok, you will be asked to enter the correct username and password. Provide your details and start accessing your linux server remotely from windows server. 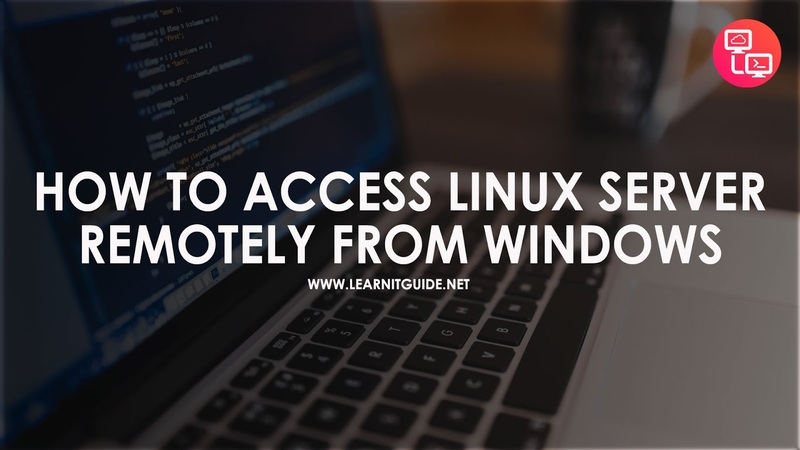 Hope this post helps you to access linux server from windows remotely by installing putty software.